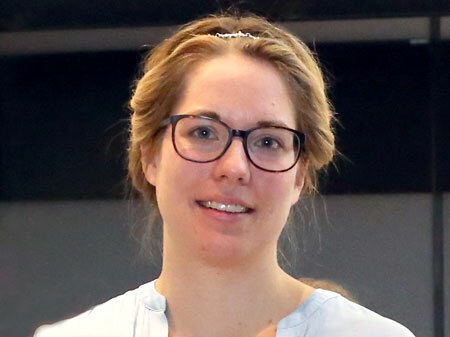 ISPM research assistant Kathrin Zürcher received a special CHF 1,000 prize in March 2017 from the Swiss Foundation for Tuberculosis Research (swissTB) for her historical article looking at correlations between the tuberculosis mortality rate and living conditions in the Swiss capital between 1856 and 1950. The article, published in February 2016 by PLoS One, was based on historical documents from the city of Bern archives. Zürcher and co-authors found that more people living in an apartment, fewer windows, and less direct sunlight were associated with a higher mortality rate. According to the publication, TB mortality in Bern, Switzerland, decreased 10-fold between 1856 and 1950, from 330 per 100,000 to 33 per 100,000. A number of factors are believed to have contributed to the massive decline, including improvements in housing conditions, a decrease in indoor crowding, introduction of open-air schools and sanatoria, and the institution of systematic tuberculin skin testing of school children and chest radiography screening. “We consider it very important that the history of this still widespread disease is recognised,” said Dr. Otto Brändli, President of swissTB. Tuberculosis is the leading cause of death from an infectious disease worldwide. In 2015, an estimated 10.4 million people worldwide developed active TB, and 1.8 million individuals died from the disease. People with a compromised immune system, particularly those infected with HIV, are at much higher risk of developing active TB. In Switzerland, around 500 people contract TB annually, primarily immigrants, the aged, and people with compromised immune systems, and around 20 TB-infected individuals die from the disease.